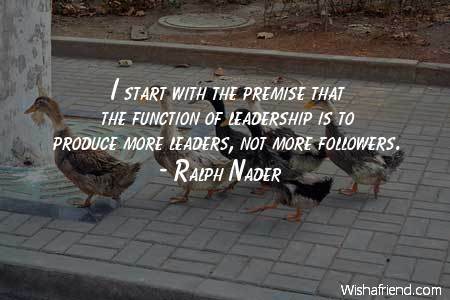 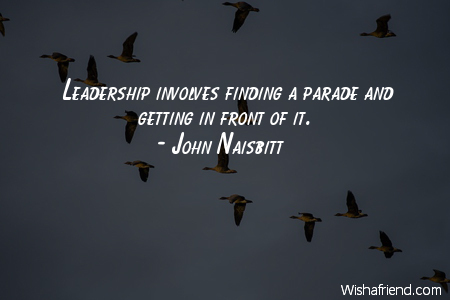 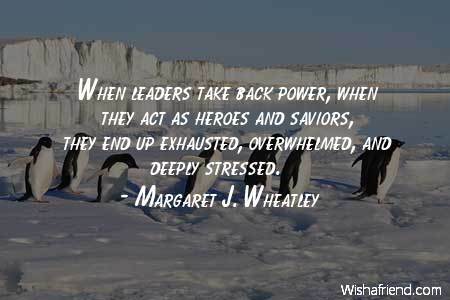 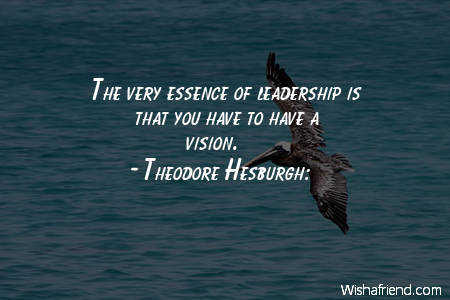 Browse our collection of Leadership quotes and sayings. 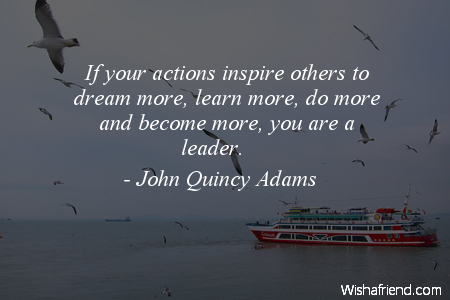 Share Leadership quotes with friends and family. 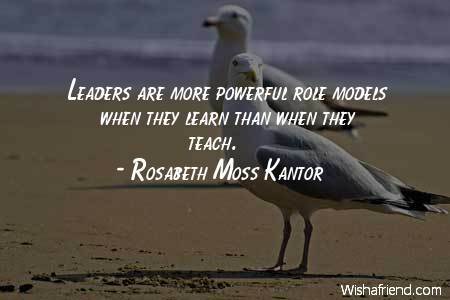 Leaders are more powerful role models when they learn than when they teach. 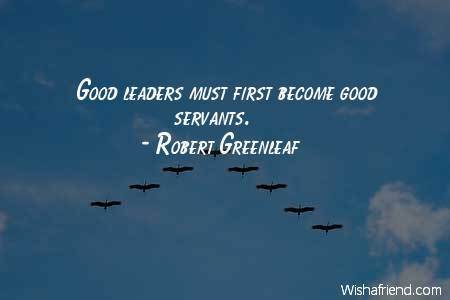 Good leaders must first become good servants. 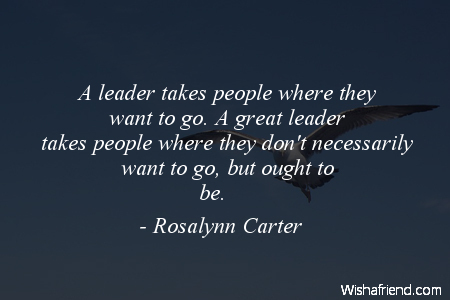 A leader takes people where they want to go. 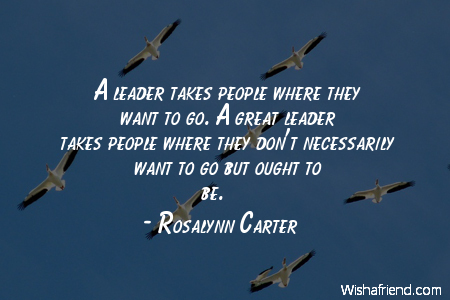 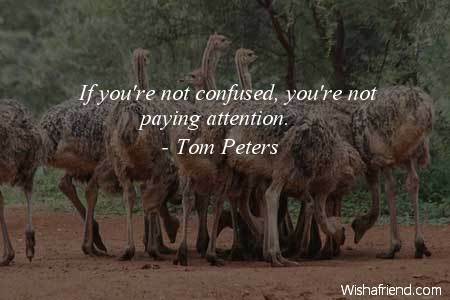 A great leader takes people where they don't necessarily want to go but ought to be. 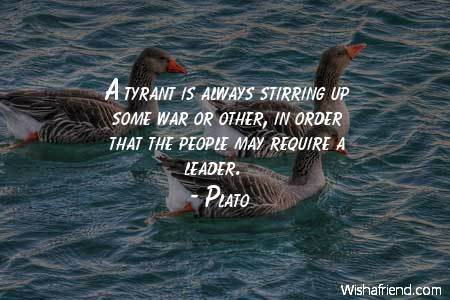 A tyrant is always stirring up some war or other, in order that the people may require a leader. 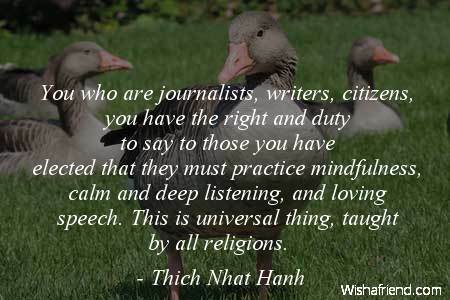 You who are journalists, writers, citizens, you have the right and duty to say to those you have elected that they must practice mindfulness, calm and deep listening, and loving speech. 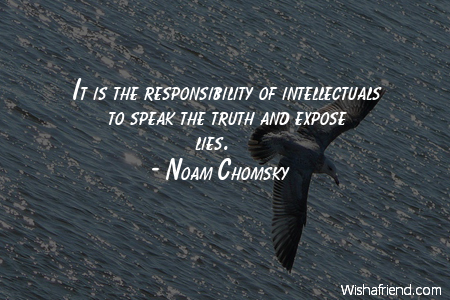 This is universal thing, taught by all religions. 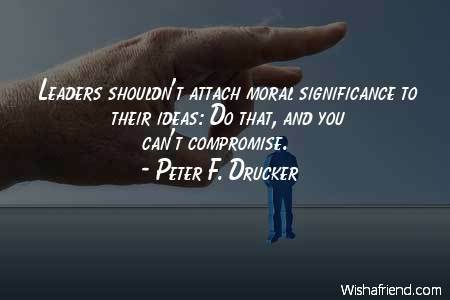 Leaders shouldn't attach moral significance to their ideas: Do that, and you can't compromise. 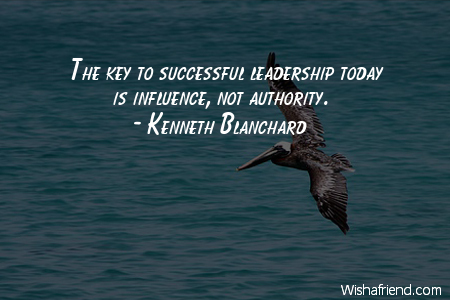 Leadership is not manifested by coercion, even against the resented. 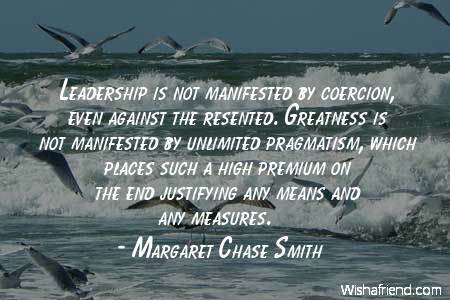 Greatness is not manifested by unlimited pragmatism, which places such a high premium on the end justifying any means and any measures. 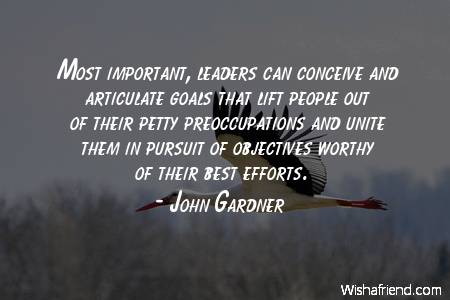 Most important, leaders can conceive and articulate goals that lift people out of their petty preoccupations and unite them in pursuit of objectives worthy of their best efforts.